Design duo Ima Moteki is determined to revolutionize how young children address the colors of the rainbow. 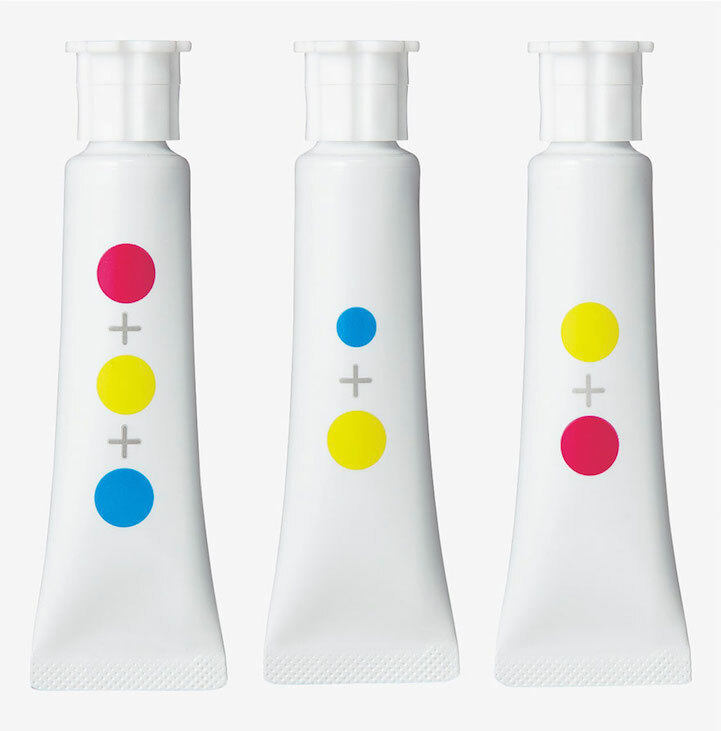 To help get kids’ creative juices flowing, Nameless Paints was designed to represent colors without labels. Instead of giving each shade a specific name, various circles represent primary colors that were blended to make the color at hand. The size of the circle also portrays the specific proportions that were used. “By not assigning names to the colors we want to expand the definition of what a color can be, and the various shades they can create by mixing them,” explains Yusuke Imai, who makes up half the design team with Ayami Moteki. 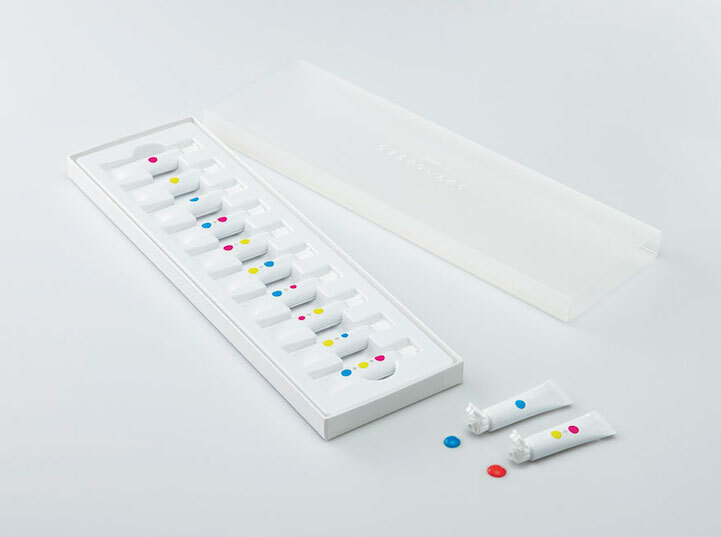 To help children effortlessly learn about color theory, Nameless Paints will be sold by Japanese stationary brand Campus. 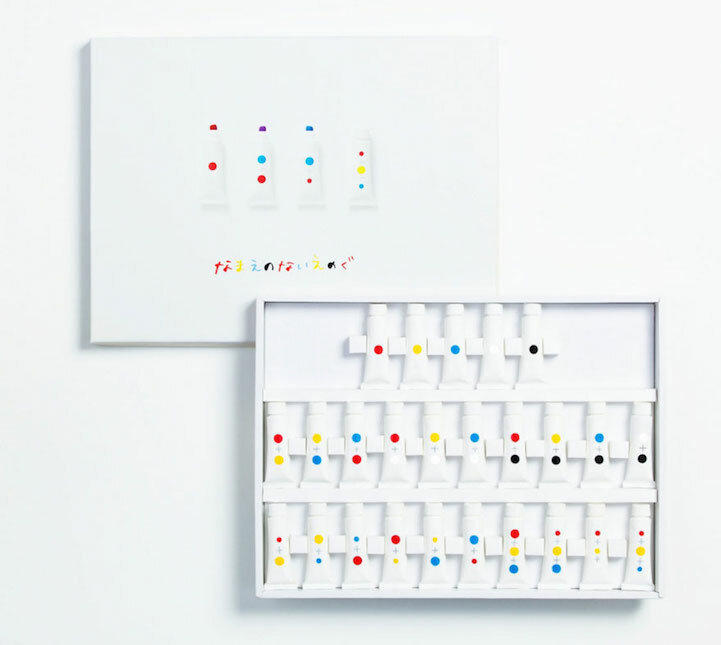 This collection of 10 paints will launch in October and will retail for 1800 yen (about $15).